Children are naturally eager to learn. Kubo Montessori in the Peninsula offers a child-centered educational approach. Montessori education aims to develop the physical, social, emotional, and cognitive skills of children. Through our education program, they will learn to discover and understand new concepts and the world around them. Our San Mateo location has 3 home-based Montessori classrooms serving working parents in the area. Casa Dei Bambini or “Children’s house” was established 1906 in Roma Italia in the basement of her home. We offer the same environment to San Mateo families. A great transition school for your children in preparation for big school environment. Our child to teacher ratio is 12:2 and we provide freshly cooked healthy hot lunch and organic snacks. We accept kids from ages 20 months to 6 years of age and do not require potty training. There is always one credentialed Montessori teacher in each classroom to ensure the Montessori philosophy is maintained daily. 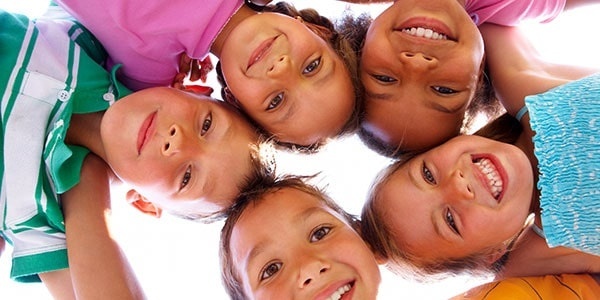 Our Redwood city location is a Montessori Day Care Center with 2 classrooms. Our child to teacher ratio is 10:1. We take in kids ages 3-6 years of age and potty training is required. We run a year round school program and offer TK/K after school Montessori classes. 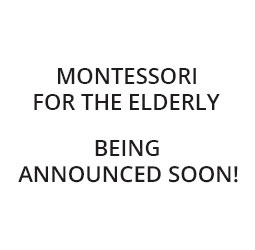 Our Montessori for the elderly is a day program for adults ages 60+. We offer Montessori activities to help revive skills that help them strengthen their ability to complete daily activities and continue independent living. It is also a place to find belongingness and purposeful recreation to energize their outlook and general well being. It is a method of education that was developed by Maria Montessori in 1897. Maria Montessori was the first Italian woman doctor in Italy. She focused on child psychology and pedagogy (Pedagogy refers more broadly to the theory and practice of education, and how this influences the growth of learners. Pedagogy, taken as an academic discipline, is the study of how knowledge and skills are exchanged in an educational context, and it considers the interactions that take place during learning). Using her scientific understanding and observation, Maria Montessori formulated materials that are auto educating. Allowing the child to learn on their own and prepare them to academics. The prepared environment is essential in every Montessori classroom. The areas of Practical Life, Sensorial, Cultural, Math and Language are defined learning space for each child. All Montessori materials are designed to help the brain tap into its scientific and mathematical potential. Montessori teachers are facilitators and are there to inspire and motivate the child to know the process rather than to direct them what to do. The child learns on their own pace and finds satisfaction on their own daily discoveries. Their inner drive to learn allows them to constantly challenge themselves as they discover the world. Every moment is a learning opportunity. Every hands on concrete manipulation of the material is always a revelation. Always an “Aha moment” that build their self esteem and creates a better independent interpretation of information. Each Montessori material is sequenced accordingly and Montessori teachers are there to oversee each child’s ability to move forwards. Montessori teachers support mastery through repetition. Kubo Montessori offers both children and adults an amazing learning experience. Benefit from the time-tested Montessori education that’s trusted by several educational institutions from across the globe for over 100 years. If you wish to learn more about how Montessori for children works, do not hesitate to get in touch with us.